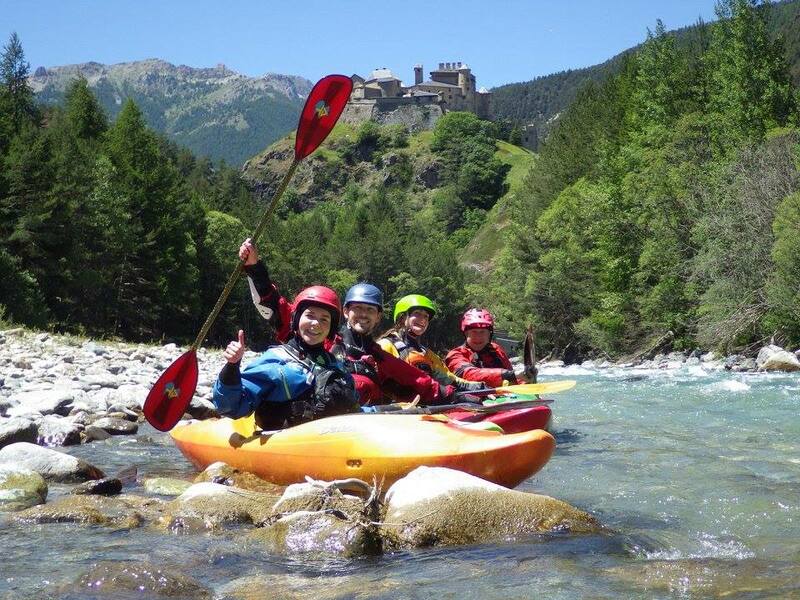 Glorious sunshine, crystal clear water, French food, castles on hilltops, good rivers to paddle and great company what more could you wish for an amazing week away in the French Alps! Battersea Alps Trip 2015 was most enjoyable. 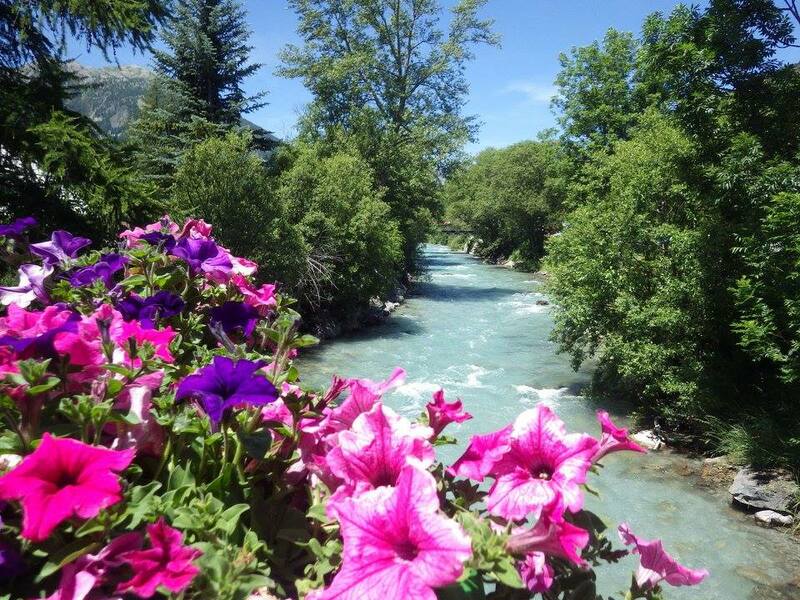 We added a touch of class by giving camping a miss this year and hiring a lovely Chalet in Briancon instead. It was huge, plenty of communal space for everyone, a huge dining table that easily fitted all 12 of us for some great evening meals, and a great space outside and downstairs to dry all our kit. And of course close to the shops to get those breakfast croissants and restaurants and bars for some post paddling pints. It had been a many years since Battersea made it to France for their Alps trip so we thought it was time that we returned, and we also managed what I think may be a first on an Alps trip and that is 2 river sections every day we were there. Go the new Battersea! 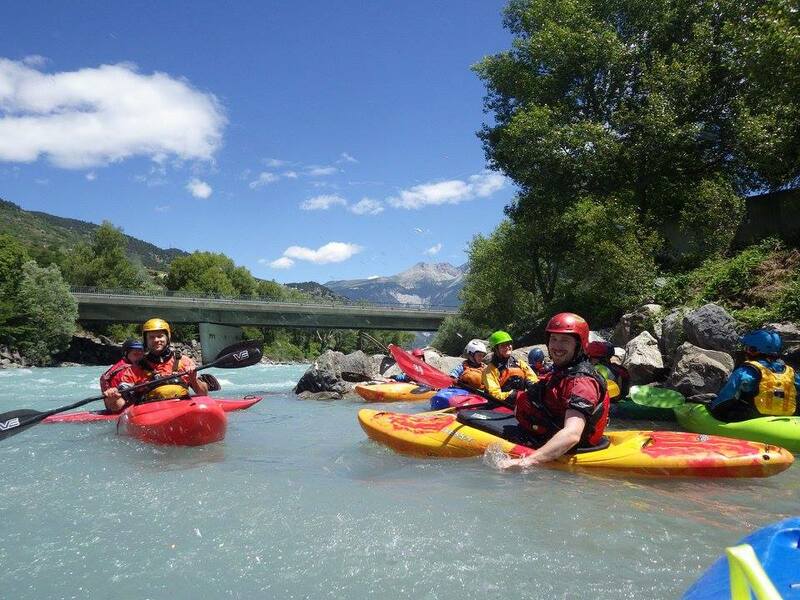 Day 1 – we started the week slowly by paddling the enjoyable ‘Sunshine Run’ on the Durance River. It was a fairly chilled paddle to ease everyone in for the week, but best not to forget there is one feature that needs some waking up for... the Rabioux Wave ... which caught a few people out and some rolls were had. After our lovely French baguette packed lunches in the sunshine we decided to amp it up a bit with a narrower alpine river, the Briancon Gorge. This river became one of my favourite rivers of the trip. It’s an action packed river, on the go from the beginning, little waves, dodging rocks an autoboof weir slide (very fun), you pass through the town and the get-out was only a few hundred meters from our chalet. Everyone was on such a high at the end of this beauty of a river. Day 2 – Guisane Day. Upper Guisane in the morning which allowed everyone to enjoy the mountain views, and bridges filled with flowers. The afternoon involved a split group with some keen Grade 4 paddlers tackling the Lower Guisane, and a group taking some time to improve some skills on the Argentiere slalom course. Day 3 – Ubaye Day. The drive alone to get to this river is spectacular as you drive past intense blue/aqua lakes on hairpin bend roads. The morning’s paddle was the Ubaye Racecourse section (another favourite for many from the trip). We had a good level of water, one swim and lot’s of smiles and admiration as we floated through the narrow gorge and bridge at the end. 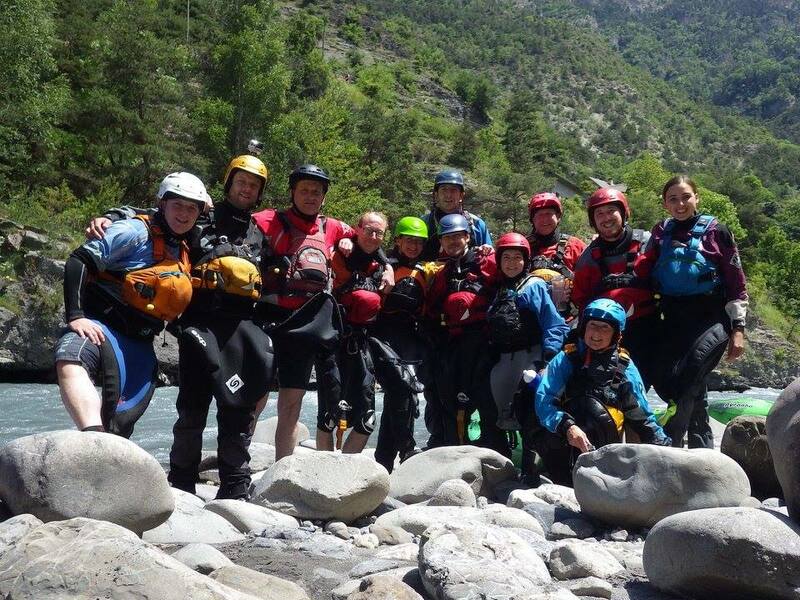 This years Battersea alps team photo was taken at the get out of this river. The afternoon’s paddled involved an intense grade 4+ heart pounding section of the La Fresquire for some, and a sunshine run of the Upper Ubaye for others with ice-cream eating at the end and an incredible mountain scenery pass drive home. The BBQ was lighted for this evenings dinner in the garden. 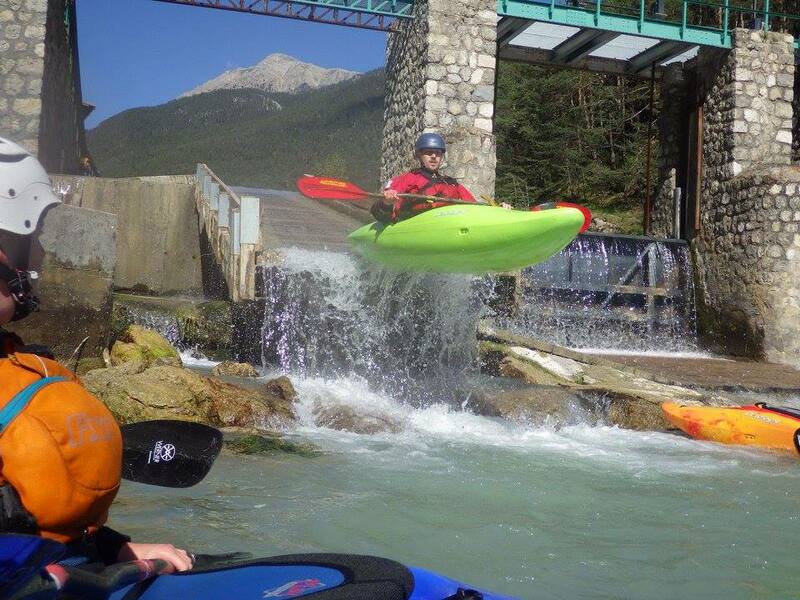 Day 4 – The morning paddle on the Durance Gorge resulted in a bit more adventure than we expected. It was around 6.5 on the gauge at the get in after the weir, a nice medium level. The river overall was very enjoyable. The portage around the grade 6 ‘Crack of Doom’ was long but manageable. The excitement started after the portage where Adam got a bit too relaxed after one of the rapids and said hello to rock rather too quickly, emerging from his boat and the water with blood dripping down his face, but not to worry 2 seconds later a doctor emerged, literally. I hadn’t even realised there was another paddlers group behind, but the timing of his arrival couldn’t have been more perfect. Dave even got to use his Israeli army bandages complete with anti-coagulants. The x-ray in the hospital later confirmed Adam’s nose was broken, and he did very well to continue paddling to the get-out. Day 5 – Guil Day. Upper Guile in the morning, Chateau Queyras Gorge after lunch, and a section from Le Tunnel down of the Middle Guil in the afternoon. The fact that I had views of castles on hill tops from the river and the carpark, certainly brought smiles to my face and made me feel like I was in a one of the most beautiful places in France. 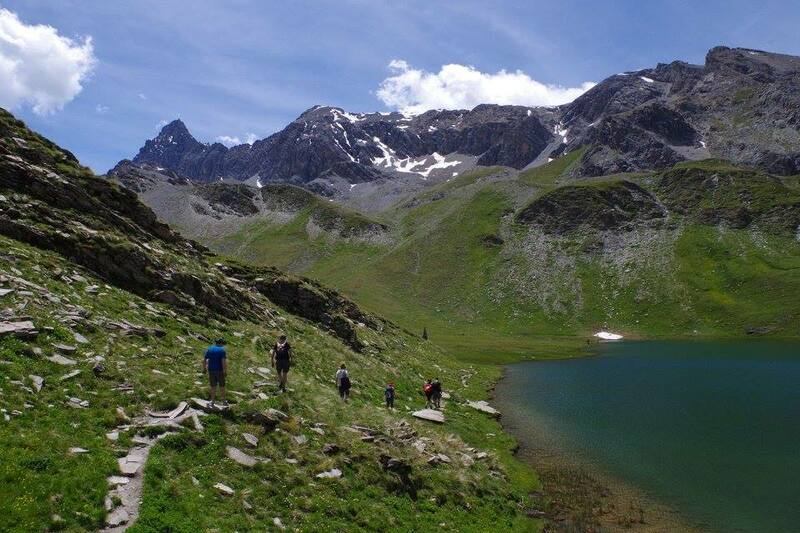 Day 6 – Guil Day x 2 and Hiking day. For most of the group this was our rest day where we did a very picturesque mountain lake walk in the Le Font area just outside of Briancon complete with afternoon tea in a mountain hut. Thanks Tourist information office for a great suggestion. For those keen paddlers it was back in the gorge and a complete run of the middle Guil. Day 7 – River levels were starting to drop so our choices of rivers were starting to become limited. We paddled the Upper Guisane in the morning, and then ended up on the Argentiere Slalom course as other rivers were too low to paddle. Day 8 – Last day of paddling and we decided to drive to the Severesse to do a lovely Alpine paddle with pretty snow topped mountain views. A perfect last day paddle before driving home. We choose to drive half way home on Saturday evening, having dinner in Dijon and staying overnight. This meant we could drive the remaining 5hrs to Calais on Sunday and have a little bit of time to recover for the week. I think everyone on the trip will agree it was such an awesome trip, and we were all sad to go home and say goodbye.